The iconic MINI Cooper is an internationally revered brand that consistently produces spunky, high-energy models with standout style. 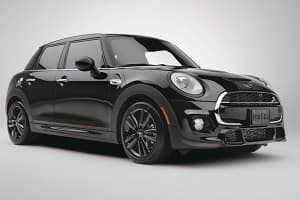 If you’re around Annapolis, Highland Beach, or Hillsmere Shores, and are considering this popular vehicle for your next ride, then you’ll appreciate our MINI Cooper S Hardtop 4 Door review. Our aim at MINI of Annapolis is to provide drivers with the information they’re looking for. So, if you continue reading, you’ll learn about this particular model’s engine specs, interior dimensions, and transformative interior and exterior style. 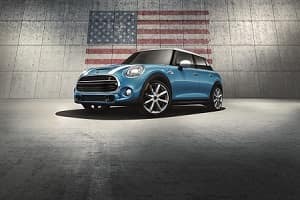 The MINI Cooper S sports a single engine that provides drivers with quick-twitch acceleration, top-end speed, terrific fuel economy, and precision handling. This engine is a TwinPower Turbo 1.5L 3-cylinder that puts out 189 horsepower, and 207 lb-ft of torque. The acceleration really stands out with this motor, too, given its ability to go from 0-60 MPH in 6.6 seconds. You’ll also be getting some high-level fuel economy. The MINI Cooper S gets an EPA-estimated 26 city MPG/ 28 highway MPG. Finally, you’ll enjoy a consistently smooth ride whether you choose the refined 6-speed automatic transmission, or the highly responsive 6-speed manual transmission. How Much Space is in the MINI Cooper S Hardtop? Given the name MINI Cooper, people might get the incorrect idea that this model is lacking for interior space, either for passengers or cargo. This tall-tale is actually rather far off, as the MINI Cooper S sports plenty of interior room. For example, the total cargo space measures in at 40.7 cubic feet, with the trunk volume alone offering 13.1 cubic feet of room. You’ll also be able to stretch out in this model whether you’re sitting in the front seat, 41.4 inches of legroom, or the second row, which offers 32.3 inches of legroom. Ample shoulder room is found in the second row, 49.6 inches, so passengers don’t have to brush shoulders during the ride. As with any MINI Cooper model, the MINI Cooper S sports an unmistakable style whether you’re looking at the body, or sitting inside the cabin. What helps this model stand out are the subtle additions, like the LED tail lights, for instance. These lights pay homage to the car’s British heritage by implementing the iconic Union Jack design. You’ll also find the MINI Cooper logo projected onto the ground as you open the door to enter the vehicle. Once you sit down to relax for a scenic cruise, you’ll be greeted by a couple different upholstery possibilities, like Chesterfield leather, or Carbon Black leather, which is a beautiful blend of sleek, athletic, and modern. This review discussing the MINI Cooper S Hardtop 4 Door is a great starting point to learn about features like engine specifications, interior space, and unrivaled style. To get a closer look at this model, though, try scheduling a test drive and cruising around Annapolis, Highland Beach, or Hillsmere Shores. 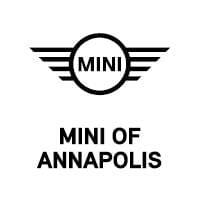 To do this, simply contact our helpful staff at MINI of Annapolis!